And Patricia Smith’s words not only bounce electrically off the printed page, but they’ve had much exposure and recognition as spoken words, words out loud. Smith is recognized as one of the world’s most formidable performers, having read her work around the world, from Sweden to Germany, Austria, Holland and South Africa. Within the United States, she’s performed at the National Book Festival, Carnegie Hall, the Dodge Poetry Festival, the Folger Shakespeare Library, and St. Mark’s Poetry Project. She has collaborated with Philip Pemberton (lead vocalist of Roomful of Blues) and the blues band Bop Thunderous, and has served as vocalist with various jazz groups. She’s even been a four-time national individual Poetry Slam champion. She has recorded her work on several CDs. A short film of her performing the poem “Undertaker,” produced by Tied to the Tracks Films, won awards at both the Sundance and San Francisco Film Festivals, as well as for the Lifetime Network’s first annual Women’s Film Festival. Needless to say, she’s a Renaissance artist and then some. Her six critically acclaimed collections of poetry include Shoulda Been Jimi Savannah (which won the 2014 Rebekah Bobbitt Prize from the Library of Congress, the 2013 Lenore Marshall Poetry Prize from the Academy of American Poets and the Phillis Wheatley Award); Blood Dazzler (a National Book Award finalist); and Teahouse of the Almighty (a National Poetry Series winner), which are all from Coffee House Press. Close to Death and Big Towns, Big Talk are from Zoland Books, and Life According to Motown was published by Tia Chucha Press. Smith has also edited a crime fiction anthology, Staten Island Noir. And she has other books as well, including Africans in America (Harcourt Brace), which is a companion volume to the groundbreaking four-part PBS history series, and a children’s book, Janna and the Kings, a Lee & Low Books New Voices Award winner. 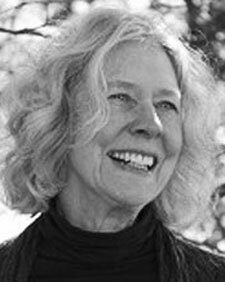 Her work has appeared in all the best journals, including Poetry, Paris Review, The New York Times, TriQuarterly, Tin House, The Washington Post, and in anthologies, including Best American Poetry and Best American Essays. She’s a 2014 Guggenheim fellow, and a 2012 fellow at both MacDowell and Yaddo. She’s been a Pushcart Prize winner twice. “Not many poets will make you laugh out loud, grow uneasily warm with the recognition of self, sit riveted by the sheer shock of contending with human suffering, and feel as if you are alone with her as she tells her stories. But not many poets are Patricia Smith,” says Kwame Dawes. If you don’t know her work, you’re in for a visceral, passionate, blockbuster ride. If you do know her work, you’re in for that ride all over again, and it’s a ride than never gets old. Wendy Barker's sixth full-length collection of poems, One Blackbird at a Time, won the John Ciardi Prize and was published by BkMk Press in 2015. Her fourth chapbook, From the Moon, Earth is Blue, was also published in 2015, by Wings Press. She is Poet-in-Residence and the Pearl LeWinn Professor of Creative Writing at the University of Texas at San Antonio, where she has taught since 1982. View More: Next piece "A Dozen Poems", Home, Archive.